The 2019 Super Bowl is done and dusted, with a lot of varying opinions about the game, the entertainment, Adam Levine's tattoos, etc. But the related ad campaigns were once again a key feature - this year, we got a new preview for the next Avengers movie, and for the upcoming 'Captain Marvel' film, while we also had a Game of Thrones tie-in (from Bud Light) and many more memorable moments. 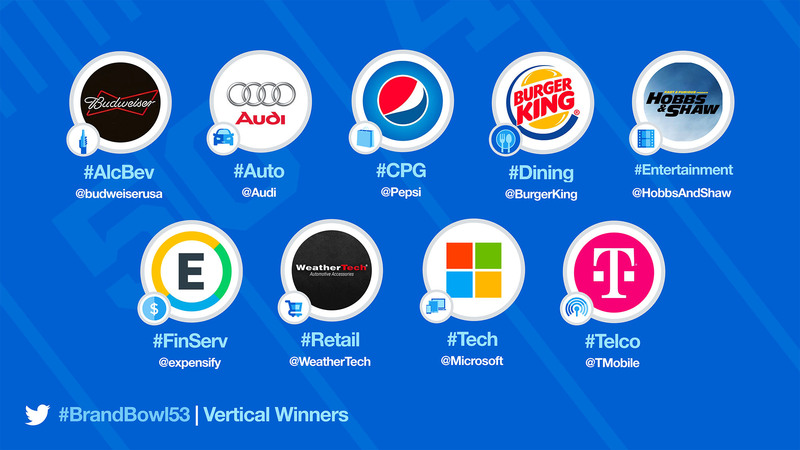 But which brands inspired the most tweet engagement and activity? That's what Twitter's #BrandBowl competition is all about. 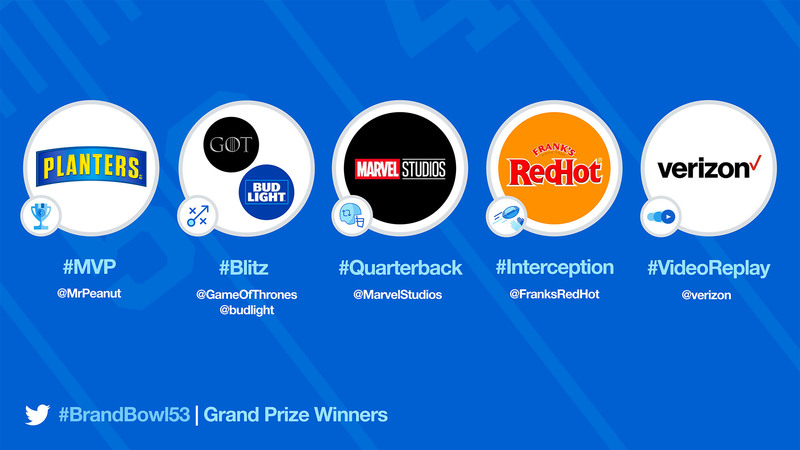 Shortly following the game, Twitter announced the winners of its 2019 #BrandBowl event. MVP winner Planters saw the overall highest percentage of brand-related Tweets during ‎#SB53 for its campaign featuring Alex Rodriguez and Charlie Sheen. If you thought that was nuts, see the extended cut with @AROD & @charliesheen here. Meanwhile, the aforementioned Bud Light/Game of Thrones tie-in spurred the most tweets per minute. The new Avengers trailer generated the most overall re-tweets (currently at more than 92k). While Frank's Red Hot drove the highest percentage of brand conversation during the event without a related TV ad accompaniment. And finally, Verizon's tribute to first responders drove the most video views on a single Tweet. All of these campaigns are obviously big-budget, large-scale marketing initiatives, but the winners do provide some lessons on what it takes to generate attention via tweet, and how you can maximize your own tweet performance. Of course, you can't just hire Charlie Sheen (probably) or use the Game of Thrones set, but the examples may provide some additional pointers on generating attention, and maximizing engagement, particularly in relation to major events (note that they all utilize video). Twitter also announced the brands which generated the highest percentage of in-game brand conversation by industry, providing more specific pointers for each sector. You can check out more examples and info in Twitter's official announcement post, helping to provide additional context as to how each brand, and industry vertical, was able to generate attention via tweet during the game.